His early tastes were strongly scientific. He collected birds’ eggs, butterflies and moths, and geological specimens; studied the fauna and flora of his neighborhood; read Darwin’s newly published books with enthusiasm; and counted Audubon’s works on American birds and mammals his chief treasure. He was so certain that he was to follow a scientific career that he strenuously objected to studying Greek (vi). 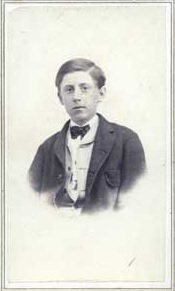 Following the years of private tutorial instruction, Benjamin entered the sophomore class of the Princeton University where he graduated in 1871 with highest honors at only nineteen years of age. He then traveled in Europe beginning in February 1872. After spending some time in Edinburgh and then Heidelberg, he wrote home in mid-summer announcing his intent to enter the ministry. This change in interests and vocational direction came as a surprise to his family. 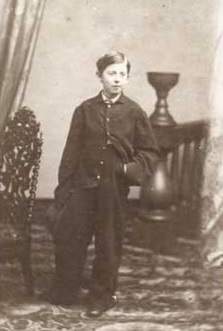 He returned to Kentucky sometime in 1873 and was for a short time the livestock editor of the Farmer’s Home Journal. Benjamin began his preparation for the ministry when he entered Princeton Theological Seminary in the fall of 1873. He was licensed to preach the gospel by Ebenezer Presbytery on May 8, 1875. Following licensure, he briefly tested his ministerial abilities that summer by supplying the Concord Presbyterian Church in Kentucky. Following the completion of his divinity degree in 1876, he supplied the pulpit of the First Presbyterian Church of Dayton, Ohio. During his ministry in Dayton he married Annie Pearce Kinkead on August 3, 1876. Soon after the wedding, the couple set sail on an extended trip to Europe. At some point during their sea travels the newly weds went through a great storm and Annie suffered trauma that debilitated her for the rest of her life. In 1877, according to Ethelbert Warfield, Benjamin was offered the opportunity to teach Old Testament at Western Seminary, but he turned the offer down because he had turned his study emphasis to the New Testament despite his early aversion to Greek (vii). In November 1877, he began his supply ministry at the First Presbyterian Church of Baltimore, where he continued until the following March. In September of 1878, Benjamin began his career as a theological educator when he became an instructor in New Testament Literature and Exegesis at Western Theological Seminary in Pittsburgh. 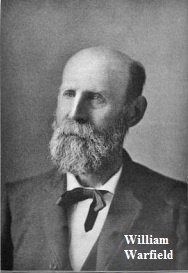 Western Seminary had been formed by the merger of existing seminaries that included Danville Seminary, which R. J. Breckinridge, Benjamin’s grandfather, had been involved with in its earlier years. The following year he was made professor of the same subject and he continued in that position until 1887. In his inaugural address for Professor of New Testament Exegesis and Literature, April 20, 1880, he set the theme for many of his writing efforts in the succeeding years by defending historic Christianity. The purpose of his lecture was to answer the question, “Is the Church Doctrine of the Plenary Inspiration of the New Testament Endangered by the Assured Results of Modern Biblical Criticism.” Professor Warfield affirmed the inspiration, authority, and reliability of God’s Word in opposition to the critics of his era. He quickly established his academic reputation for thoroughness and defense of the Bible. Many heard of his academic acumen and he was rewarded by eastern academia when his alma mater, Princeton University, honored him with the Doctor of Divinity in 1880. When Dr. Warfield left teaching at Western seminary it was to return to Princeton Theological Seminary as a professor beginning in the fall semester of 1887. He succeeded Archibald Alexander Hodge as the Charles Hodge Professor of Didactic and Polemic Theology. His inaugural address titled, “The Idea of Systematic Theology Considered as a Science,” was delivered the following May. As he taught theology, he did so using Hodge’s Systematic Theology continuing the tradition at Princeton. Annie lived a homebound life limiting her primarily to the Princeton campus where Benjamin was never too far from home. The Warfields lived in the same campus house occupied by the Charles and Archibald Alexander Hodge families during their years at the seminary. Benjamin enjoyed a busy schedule at Princeton. One of his duties included editing the Presbyterian Review. When the Presbyterian Review was discontinued, he planned and produced the Presbyterian and Reformed Review until the faculty of Princeton renamed it the Princeton Theological Review in 1902. During his Princeton years he was awarded several times with honorary degrees in addition to his previously mentioned D.D. including the LL.D. by both the College of New Jersey and Davidson College in 1892, the Litt.D. by Lafayette College in 1911, and the S.T.D. by the University of Utrecht in 1913. After thirty-nine years of marriage, Annie Warfield died November 19, 1915. She was buried in the Princeton cemetery of the Nassau Street Presbyterian Church with a bronze, vault sized plate marking the area of her grave. Benjamin continued to teach at Princeton until he was taken ill suddenly on Christmas Eve of 1920. Until this illness, Dr. Warfield had followed an active and busy teaching schedule into his seventieth year of life. His condition was serious for a time, but he improved enough that he resumed partial teaching responsibilities on February 16, 1921. Despite not feeling ill effects from the class he taught that day, he died of coronary problems later that evening. 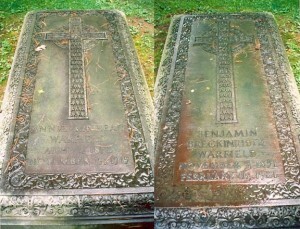 He was buried next to his beloved Annie with a marker similar to hers covering his grave. The Warfields did not have any children. You may well believe that I was inexpressibly grieved and shocked at the death of Dr. Warfield. Truly there is a prince and a great man fallen this day in Israel. Where shall we ever find his like as a defender of the faith once delivered to the saints? I know what it will mean to you personally, especially at a time when the tendency is to fill our faculties with men who represent a lower ideal of scholarship. It will be hard indeed to fill his place. Little did either LeRoy Gresham or Dr. Machen realize the prophetic sense of the comment, for it would not be long before Machen would become “a defender of the faith once delivered to the saints” as he faced controversy and division in the Presbyterian Church. B. B. Warfield’s collected writings were many but he did not write a systematic theology, and publishing books was the exception rather than the rule; his writings were primarily articles for periodicals, book reviews and notices, papers, pamphlets, and lectures. Sometimes his articles would be republished in pamphlet or book form. His apologetic sense for responding to error in a timely fashion most often led him to use scholarly journals and other periodicals. Francis Patton’s memorial speech for Warfield confirms this perspective because he commented that, “It was the discussion of particular doctrine in connection with the most recent phases of thought that he gave the greater part of his attention” (386). Some of Warfield’s chief concerns included the inspiration and authenticity of the Scriptures, perfectionism, evolution, and the canonicity of the books of Scripture. One area of particular concern Warfield addressed frequently was defending the New Testament against the German higher critics and their teachings. Warfield’s intellectual capacity, diversity of interests, and penetrating analysis could be placed at the apex of the scholarly pyramid of his contemporaries. Consider the course of academic events in his life. When he accepted the position in New Testament at Western Seminary, the previous year he had already turned down an appointment at the same institution to teach Old Testament. When he went from Western to Princeton Seminary, he went from New Testament studies to a position combining the disciplines of Systematic Theology and Apologetics. When we consider that he was also known for his historical studies on the background and editions of the Westminster Confession, as well as the relationship between Augustine and John Calvin, it is not going too far to say that he could have qualified, in his era, as a one man seminary faculty with abilities in Old Testament, New Testament, Apologetics, Systematics, and Church History. Sources—Clarification editing was done and the photos of the two graves were added by the author on August 5, 2015 . This biography is a revision and abridgment of one on the PCA Historical Center website that includes a bibliography. The portrait of William Warfield is from, American Breeders Magazine, Vol. 2, No. 1, 1911. The two photographs of young Warfield are from the collection of the PCA Historical Center, St. Louis, Missouri, Wayne Sparkman, Director. The letter to J. Gresham Machen from LeRoy Gresham is dated March 5, 1921 and is in the Machen collection at Westminster Theological Seminary, Philadelphia. David Calhoun’s Princeton Seminary: The Majestic Testimony, 1869-1929, Edinburgh: Banner of Truth Trust, 1996, provides information about Warfield on pages 313-327. The article, “The Last of the High Calvinists,” was published in The Presbyterian 91:10, March 10, 1921, on pages 9-10, and its anonymous author was responding to an article from another publication in which Warfield was described negatively as a “high Calvinist.” “Discourses Occasioned by the Inauguration of Benj. 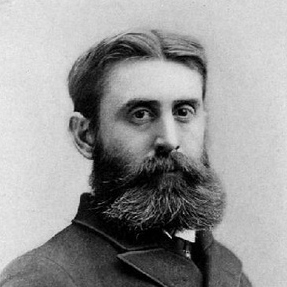 B. Warfield, D.D. to the Chair of New Testament Exegesis and Literature, in Western Theological Seminary, Delivered on the Evening of Tuesday, April 20th, 1880, in the North Presbyterian Church, Allegheny, Pa.,” Pittsburgh: Nevin Brothers, 1880, includes the charge to Warfield by Elliott E. Swift and Warfield’s inaugural address. Francis L. Patton’s “Benjamin Breckinridge Warfield, D.D., L.L. D., Litt. D., A Memorial Address,” was published in The Princeton Theological Review 19:3 (July 1921) on pages 369-391. Ethelbert D. Warfield’s “Biographical Sketch of Benjamin Breckinridge Warfield,” is included in The Works of B. B. Warfield, vol. 1, Revelation and Inspiration, on pages v-ix. Notes—There is a photograph held by Princeton Seminary that shows Warfield seated in his study next to George T. Purves and in the background can be seen a picture of a steer adorning one of his overloaded book shelves. Well done. Excellent piece on an excellent man. Thank you for reading the biography and your kind comment. “Benny,” as he was affectionately called by many, had a breadth and depth of knowledge and interests that few of his generation could equal. He probably would have been as significant a scientist as he was a theologian if he had pursued his early interests.